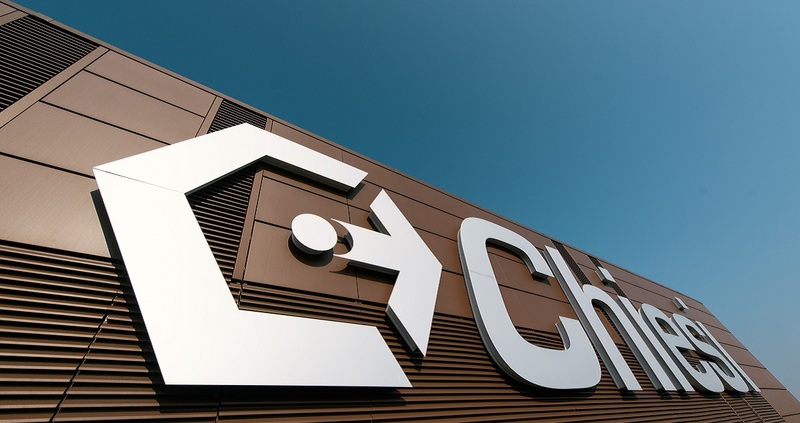 Chiesi is the first pharmaceutical company to have demonstrated with randomized clinical trials, two of which published in The Lancet 1,2, the efficacy of the triple extrafine combination to prevent exacerbations, improve symptoms and quality of life. Trimbow is the first fixed triple combination as extrafine formulation in a single inhaler that may improve adherence to the therapy. CHMP positive opinion is based on data obtained in 12 clinical studies involving more than 7000 patients. Parma (Italy), May 22 2017 – Chiesi Group (Chiesi), an international research-focused Healthcare company, announced today that the European Medicines Agency’s (EMA) Committee for Medicinal Products for Human Use (CHMP) has issued a positive opinion recommending marketing authorisation for the extrafine triple combination ICS/LABA/LAMA, under the brand name Trimbow®, for the first time in a single inhaler for the treatment of Chronic Obstructive Pulmonary Disease (COPD). Trimbow is a combination of Inhaled Corticosteroid (ICS) / Long-acting β2-agonist (LABA) / long-acting muscarinic antagonist (LAMA) that contains Beclometasone dipropionate (BDP) , Formoterol fumarate (FF) and Glycopyrronium bromide (GB). Therefore, a simplified treatment option based on ICS/LABA/LAMA able to improve lung function and reduce the risk of exacerbations in COPD patients uncontrolled by previous therapies would definitely satisfy those unmet needs. TRILOGY1 is the study published in the special ERS edition of The Lancet and presented at the 2016 ERS Congress in London. The study provided for the first time, one year evidence that the extrafine fixed ICS/LABA/LAMA triple combination developed by Chiesi is superior to the fixed dose ICS/LABA combined therapy (one of the standard treatments for this condition) regarding a series of clinical parameters including exacerbations, and demonstrates a high safety profile. TRINITY2, published on the online issue of April 3, 2017, is the study that for the first time has demonstrated the superiority of the extrafine ICS/LABA/LAMA triple fixed dose combination therapy, developed by Chiesi, compared to the LAMA tiotropium, one of the standard treatments for COPD, again on a series of efficacy parameters including exacerbations. The CHMP positive opinion is one of the final steps before the European Commission grants marketing authorisation. A final decision by the European Commission and official grant of the marketing authorisation is expected during the third quarter of 2017. COPD is a respiratory disease characterized by a persistent bronchial obstruction, associated with an increased chronic inflammatory response of the airways to noxious particles or gas. The classic symptoms associated with COPD are dyspnoea, chronic cough and chronic productive sputum. In some cases, an acute worsening of the above-mentioned symptoms may occur, triggering an exacerbation. A double mechanism is at work in the bronchial obstruction in COPD patients: on one hand, an inflammation of the small airways together with the thickening of the airways walls and increased airflow resistance may occur. On the other, a progressive destruction of lung parenchyma (emphysema) associated with the loss of elastic retraction of the lung may take place. It is important to underline that both mechanisms may coexist, leading to a significant airflow reduction throughout the lungs. Trimbow is the first extrafine fixed triple combination of Inhaled Corticosteroid (ICS) / Long-acting β2-agonist (LABA) / long-acting muscarinic antagonist (LAMA) that contains Beclometasone dipropionate (BDP) , Formoterol fumarate (FF) and Glycopyrronium bromide (GB) Trimbow will be available as twice a day pMDI (pressurized metered dose inhaler) to be licensed for COPD indication, with an approved indication for maintenance treatment of COPD patients. Based in Parma, Italy, Chiesi Farmaceutici is an international research-focused Healthcare Group, with over 80 years of experience in the pharmaceutical industry, present in 26 countries. Chiesi researches, develops and markets innovative drugs in the respiratory therapeutics, specialist medicine and rare disease areas. Its R&D organization is headquartered in Parma (Italy), and integrated with 6 other key R&D groups in France, the USA, the UK, Sweden and Denmark to advance Chiesi's pre-clinical, clinical and registration programmes. Chiesi employs nearly 5,000 people. 9 Global Initiative for Chronic Obstructive Lung Disease. Global strategy for the diagnosis, management, and prevention of chronic obstructive pulmonary disease, Progetto Mondiale BPCO, aggiornamento 2016 (www.goldcopd.org). 10 Stoloff SW, Stempel DA, Meyer J, et al. Improved refill persistence with fluticasone propionate and salmeterol in a single inhaler compared with other controller therapies. J Allergy Clin Immunol. 2004;113:245-51.